For years, India has been a major hub for tech support call centers that service companies around the world. Unfortunately, not all of them are legit. Earlier this week, police in the capital city of New Delhi raided 16 fraudulent call centers and arrested nearly three dozen people for running scams while pretending to offer customer care. The city’s police force worked with Microsoft’s digital crime unit to nail the scammers, who were involved with call centers that charged customers from anything between $100 to $500 for “tech support.” With the company’s help, authorities shut down 10 call centers across the city last month, that made their money duping Microsoft customers. These centers placed web ads that resembled pop-up warnings on various sites, alerting users that they had viruses on their computers. The pop-ups urged users to immediately call a specified number for help; operators working at these call centers, who posed as Apple or Microsoft executives, then took customers through several diagnostic steps before encouraging them to make a payment for remote assistance. A recent Microsoft survey noted that 20 percent of people who encounter such pop-ups actually call those numbers; six percent of them end up paying some money. Of the survey respondents from India, 14 percent of them paid scammers the fees they requested. In April, the company noted that 153,000 of its customers fell victim to tech support scams last year. Call center scams are not just limited to tech companies. Earlier this month, Delhi cops arrested 28 people who fooled Canadian citizens by posing as Canadian Revenue Agency officials. The CBC report notes that one man lost $100,000 to these scammers. 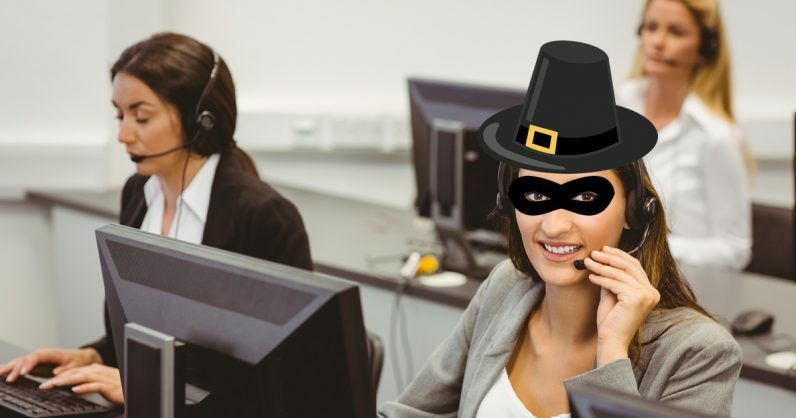 Last year, Gimlet Media’s Reply All podcast released a two-episode tale of fake call centers in India masquerading as Apple support centers. It’s crazy to think about how many shady businesses like this exist in India alone. The nation’s Business Process Outsourcing (BPO) industry raked in $28.9 billion in revenue in 2017, and employed 1.4 million people. A report suggests that customers lose nearly $1.5 billion every year due to these scams.